It isn’t hard to shut your dog down, lots of people do it. Shutting a dog down means ‘taking the wind out of their sails’. It is an effective way to let a dog know they have no choices, and it is your way, period. Family pet owners to seasoned professionals are capable of doing this, mostly when their desires are stronger than their observational skills. A calm puppy is not anything I would expect or look for, and for sure not an adolescent dog. Calm comes from time, maturity, and consistent information over time. Seeing bits and pieces of a behavior, and knowing that the information is consistent over time, allowing for error, is simply the best way to train! The biggest, BIGGEST mistake I see over and over is people mistaking CALM for what is really a SHUT DOWN DOG. If you have competed in a dog sport you have heard the term ‘ring wise’. A dog who is handled with more pressure, and is asked for more with precision in mind, and they shut down. It’s a loopy pattern but I have watched various handlers repeat this pattern without ever stepping back to ask themselves why? Just the gear bag being packed for the trial, a certain collar or harness being put on, your trail clothing, or entering the trail environment, and the dogs body language and energy flatten, they know what is coming and the overwhelming expectations being put on them, and blam, flat. You might do this a little or a lot. Purposefully because of goals, or accidentally because of expectations that were too much for your dog. If you have ever been to an agility trial, you can see one of three things. Dogs that have handlers who are focused, clear and COMPETE LIKE THEY TRAIN. Consistent with balanced expectations. There is even flow, and it looks seamless. You can’t tell who is the teacher and who is the student. Dogs that have handlers that TRAIN DIFFERENTLY FROM HOW THEY COMPETE. They work lovely in the yard or in a training barn, the handler is relaxed and focused, and then they get into a competition environment, and they are tense, stressed, have HIGH expectations, and send their dog, emotionally, through the roof. No start line stays, no contacts, stress looping, for sure a ‘blow past the weaves’ behavior, and no semblance of Team. YET they continue to compete all day long, making the same mistake. Dogs that have been pushed and pushed and pushed far beyond their skill level, and with heavy consequences, over and over and over. Drilling. These dogs enter the ring politely, have a nice start line stay and when released, walk or trot tentatively towards each obstacle so they don’t make a mistake, walk through the weaves at the pace of a sloth, and finish politely. I have seen handlers throw their hands in the air and say crap like “thank god, our final Q for our title”, and then you look at the dog and there is nothing but a tortured look on their face. That was not fun for them, it was not enjoyable, it was forced, and expected. Wanting or expecting a behavior from your dog that is perfect, and not allowing it to happen with time and maturity, will in fact shut your dog down. Here are some examples of using the energy your dog ‘came to the planet with’. Observe and become great at observation. Get to know your dogs body language and emotional state. You will learn to only work, and continue work with your dog, when their body language is lifted and they are anticipating more. Play, play with your dog. Fetch, tug, hide n seek, etc. PLAY. There should be no expectations of perfect, and it is your dogs time as much as your own. PLAY. I cannot stress that enough. Take walks or hikes together and enjoy each others time. Be safe, reward your dog for coming to you, and enjoy this time. FREE TIME is a way to observe your dog being a dog without expectations. Watch, observe, learn, and be on their time WITHOUT human direction. You of course need to be in a safe place that is interesting for your dog, but it is a way to really open up TEAM. PLAY WITH A PURPOSE is my preferred way of training. 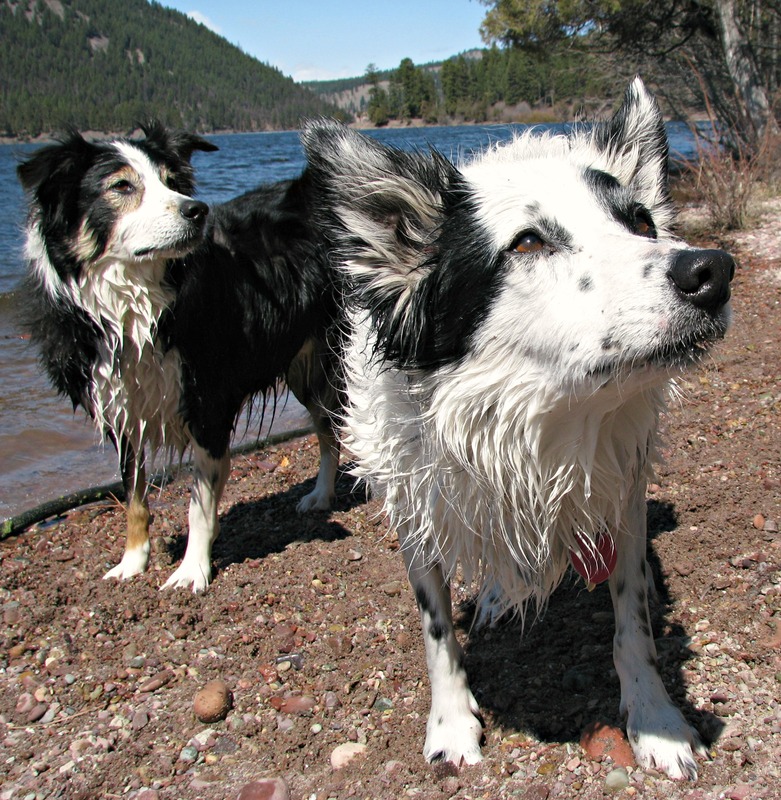 It is play, and fun, and small introductions of behaviors, and releases to something my dogs really want. I keep energy high, and look for things I like while letting them FLY. When I want to try new behaviors, strengthen one we have been working on, it is always a bit of this and a bit of that. I never press one thing too much, and there is always music, and always motion. I keep my mood light and I allow for my mistakes and my dogs mistakes and let everything go that I don’t want to keep. I NEVER CORRECT or notify my dog if it is not perfect. MOVEMENT is a great way to train. Introduce, then let it go. For days or weeks. Introduce a behavior again and see if your dog has recognition of it, and it so play with it for a bit. ALWAYS make sure training is mutual, and that you do not have EXPECTATIONS that over face your Team. NO PRESSING BEHAVIORS, back yourself off, write down on a piece of paper the number 2, do only 2 of something, but do not press to the point of failure. Have down time, days or weeks. A breather. KNOW, really and truly OWN THE FACT, that everyday your skills and your dogs skills will be different. Some days it clicks perfectly, and some days it doesn’t click at all. Some days your dog may be sore from a hike the day before, and some days they just might be tired. Some days you might be distracted, tired, or way to frustrated to be an effective handler. If you have shut your dog down, stop everything, back off, and give you and your dog a break, a long break. You need to reevaluate, when, what, where, and how. And when you start back up it is always short and successful, with hopefully ZERO EXPECTATIONS. Here are two videos that show my mistakes. The first video is a great example of a distracted handler who didn’t prepare her dog or herself before entering the ring. Total rookie mistake. And you can see the train wreck unfold before your eyes. This is 100% handler error. I knew better, but it was an off day for me. So instead of finishing the next 5 runs with my three dogs, we spent some time visiting my dogs favorite Aunties at the trial, got some nice treats, and then went home and played in the yard, fetch, hide n seek, etc. If I would have continued I would no doubt have flattened my dogs, disappointed them, and possibly caused ‘ring wise’ behavior when entering an agility environment. This video is the next day. I settled in and was emotionally and mentally engaged. I prepared my dogs before each run, and was COMPETING JUST LIKE I TRAIN. Even. Balanced. Steady. Consistent. The difference between Saturday and SUnday was night and day. I wish every obedience handler would read this article! So much pressure in that sport (as well as in agility, as you’ve mentioned). Thanks for sharing your valuable insights, and I love the video, “…without the wonkiness…” Beautiful handling in that one! I never taught my dog directions, but think it’s a good idea after seeing what it has done for your distance handling. Yes, I think obedience is ‘top heavy’ in heavy handling and shutting dogs down, but I see it every week in our classes too. When a young spanky adolescent dog that I know and have worked with for months, comes in calm and overly polite in one week, and walks with upright caution, I know that the homework I sent home is NOT the homework that was carried out. This is not lost on me, and why some people think I won’t notice is baffling. Wise words, Nance. Much to learn, and be inspired from. Bente, thank you. I hope you are still enjoying your gorgeous winter! I think it starts with that word…obedience! If ew could get rid of it it might open up peoples minds away from the concept that the dog “must do”, instead of looking for rewarding and celebrating the dogs choice to do the tasks we set out for them. As always, such wisdom, Nancy. Can be applied to all learning situation, I’m thinking. I had a trainer for my first “dancing” class who told us to train our dogs when we were angry with our spouse, kids, boss, or we were sad, etc. This was to help the dog learn to perform in a variety of situations. I didn’t go back! Hi Nikki, so good to hear from you. Yes it can be applied to all learning situations with all species, us included. The instructor you talk of is teaching some pretty dodgy stuff. If she assumes that dogs should be worked with while your emotions are all over the place, and they have to learn to deal with that and perform at the highest level, well that’s a bit bonkers. So good to hear you are enjoying the tumeric. I think of you when I see it in the stores. On another sidenote for me: I’m working with an equine therapy ranch near me, put in charge of providing nutritional and emotional care for a rescued senior horse. (I’ve never owned nor card for a horse in my life. Just love them!) I am going to start clicker training him soon, to add to his care. He is slowly blossoming and has such a sweet personality . He is a horse I wish would be able to meet you. I’ve also been sharing much of your wisdom with some of the young students at this ranch, and they are really eating it up. So nice to see minds that are open and fresh and still filled with kindness and wonder! Know that your teachings reach far beyond what you can ever imagine! I would add this to #1- Get to know YOUR body language and emotional state. All so true and still all ongoing for me with each and every one of my kids. Sherry I totally agree. Thank you my dear friend! It’s obvious that you do not know what’s going on in obedience at the upper most demanding levels. We work incredibly hard to produce dogs who work with speed, accuracy, animation, and great joy. Our dogs don’t shut down! Instead they push us to train. I was blessed to be a partner with an amazing dog. At trials he’d drag me into the ring and not want to come out. He felt that every turn should be his. I showed that glorious dog competitively (OTCH, HITs, HCs, and 200 scores) for over a decade. His joy was infectious. I cried like a baby the day he retired. I was also blessed to partner with an extremely sight/sound sensitive dog. The kind that most folks think can’t be trained. What a pleasure it was to watch this dog gain a sense of self and confidence as he progressed through the classes to his OTCH. This dog is a true joy to live with and take anywhere. He’s now 10.5 years old and still competing at the top level and winning. Most fun of all was watching him grow from a young dog who couldn’t walk into a room without crawling on his belly, to the happy, joyous, confident partner I have now. Please stop attacking the sport of obedience and those of us who play it well. Thank you. Hi Linda, I was confused by your response. I went back and reread my post and I am not sure where I said anything specifically about obedience, or you specifically? Please clarify if this was in fact supposed to be posted here on this article. I think if you read my article, followed each link, and watched the videos, the topic I wrote about is pretty crystal clear. This topic of ‘shutting a dog down’ can happen in any sport, at any level, in any city, county, state, or country. That is a fact. It can also happen in family pet homes, and other fields of work with K9’s. There are lots of dog sport competitors/SAR/ K9 Avalanche/family pet owners doing great work supporting their dog and having successes as a Team. Kudos that is what it should be! However that is not always the case, hence the article. Reblogged this on Hooray for Peri. loved this and shared. This is how I try very hard to live with my dogs and to train them. Thank you for setting it all down so beautifully. Sorry for the confusion. My comment was not to your blog. It was to wagsandfeathers and to your reply to her. I wanted to present the point of view from someone who competes in the sport of obedience at the top OTCH level. Obedience is a glorious sport that fosters the bond between dog and handler. It’s a very demanding sport and difficult to do well. But the payback for the dog is amazing. The joy they show, the increase in confidence, and the ability to problem solve all make the hours spent training a delight. This is especially true at the top level of the sport. Fantastic article. I was getting frustrated with my guy and let my disappointment show in my body language and he was getting upset too. Big, deep breath and rethink. This is FUN, and nothing can be better than working with your dog. No one cares but you if he pulls a rail or about that blue ribbon. We are now having FUN again and the quality of his work has greatly improved. He scored 99 per cent at his last obedience outing and it was hard to see who had the bigger smile on their face, him or me! I’ve never heard of a “no talking night” or silent nights as you call them. What a wonderful idea! I think the article is a good start to reminding people to make sure to have fun with your dog and let your dog have fun. Great article. Agree with all but last paragraph…..handlers can become predictors of punishment over time…..just food for thought. Wonderful, thank you! I’m preparing for my first trial ever and I just want to go in with the mindset that we’re going to have a fun game of chase just like at home. Unfortunately, I am one of those perfectionist people. I cannot let my dog make a mistake without marking it. I am a Type A personality. But this total perfectionism has ruined my middle dog, Trey. Thankfully for her we are done competing. My training habits didn’t seem to bother my previous two border collies, nor do they seem to bother Trey’s daughter, my current performance partner, Callen. But I don’t want to potentially fall back into the same trap with Callen as I did with Trey. So I am posting this article so that it reminds me of what not to do! Good stuff! It’s so important to let dogs be dogs and puppies be puppies. I don’t do agility competitions, but I do focus on training my dog as much as I can to help her communicate with me and to help her be more enjoyable to be around – that’s all I can really ask for. I enjoyed this article on shutting your dog down and know I have made a few of training errors myself. I have been training dogs in agility since 1990 and still love it. Reblogged this on Charlotte Phebe Post. Very interesting……i call these “shut down” dogs robots and find it very sad that all their personality has been trained out of them, particularly in my breed which is well known for its bounce and massive energy. The judge told me to keep competing because he loved her presence, and believed she would get more focused as she got older. I learned more from that show than from other successes, and out of the ring I loved her up just for having fun with me in the ring – that was the confirmation/lesson/validation I received that day. When people asked me if I was disappointed I said not at all – and that was true! If I had let negative emotions in, she would have felt that, and shut down. But it could never happen (that day, that dog) because I so truly enjoyed her and could see clearly it was just her joy (and inexperience on my part) that caused the day to go as it did. I offer this story as an example of a time when I could just love and enjoy my dog, not because of anything I did that was “great.” Just loving and enjoying our dogs, gently guiding them into behaviors we want, keeps work like play – and play is how we and our dogs (and kids!) learn best. I know after reading your blog that I am guilty of some of this. I believe my dog is “shutting down” from of all the drill required in rally obedience and was considering giving it up. Now I think we will take a long break from all the “sit, stays” and just have some fun.